Hyber local goodness. 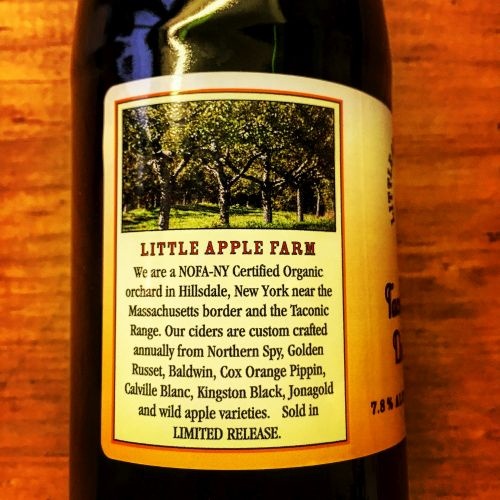 Little Apple Cidery (and their organic orchard) are up in Hillsdale. This particular bottling is their Taconic Gold, finished in an ex-Bourbon barrel from Hillrock. It doesn't get more local than that. Well.... it could, but it would probably need to involve our backyard, and we're not quite up for that yet!